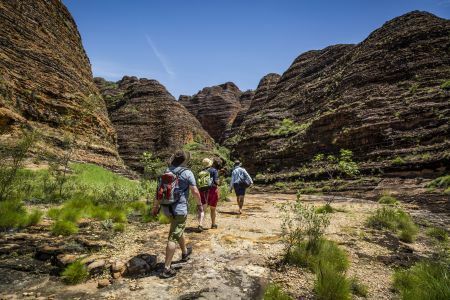 It’s been around for 350 million years, in World Heritage-listed Purnululu National Park the striking Bungle Bungle Range, orange and black striped sandstone domes, often likened to giant beehives is one of the Kimberley’s best-loved attractions. Departing Broome we track east over the beautiful turquoise waters of Roebuck Bay. 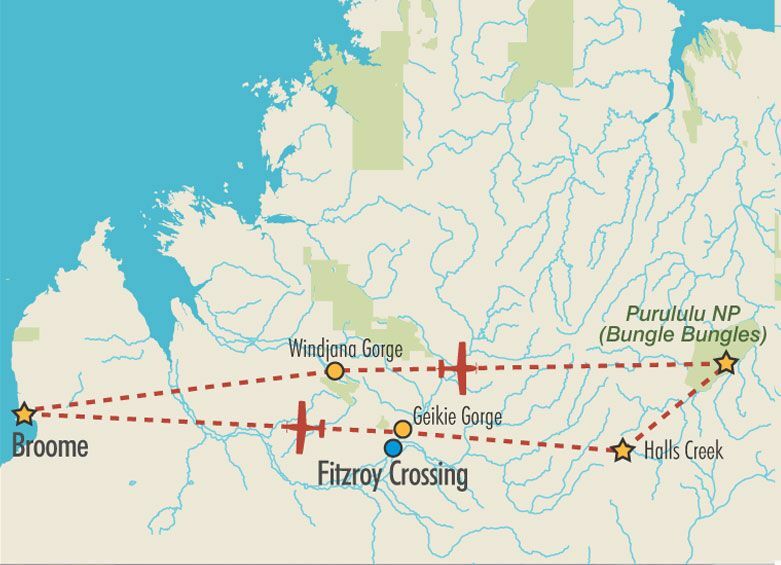 Overfly the mighty Fitzroy River, the Fitzroy Crossing township and the stunning Geikie Gorge. 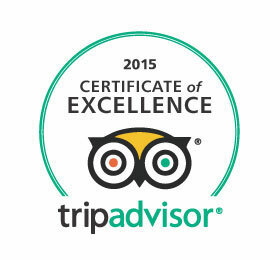 Enjoy morning tea and refreshments at Halls Creek. Fly the scenic pattern around the Bungle Bungle Massif, before landing at the remote Bellburn airstrip. 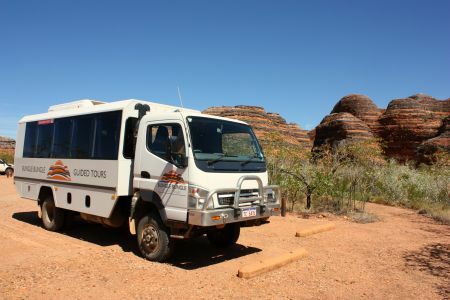 On arrival, you will be picked up by your Bungle Bungle Guided Tours guide in an air-conditioned 4WD bus to take you to the Bungle Bungle Range. Enjoy a moderate 3km guided walk amongst the famous eroded towers and black and orange banded beehive structures on the domes walk. 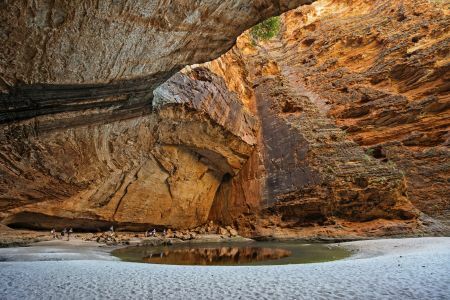 Enjoy a packed lunch at the awe-inspiring Cathedral Gorge. 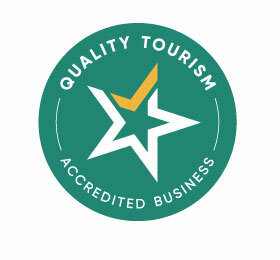 Walk along the bed of Piccaninny Creek which flows only in the monsoon waterfall season. 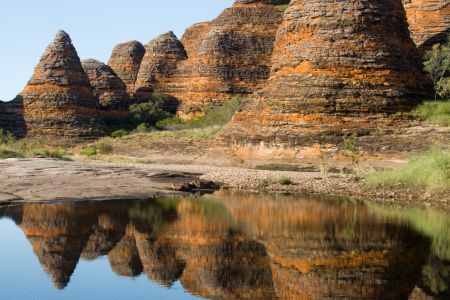 On your return flight to Broome, fly over the spectacular King Leopold Ranges, Devonian Reef Conservation Park and Windjana Gorge. *A reasonable level of fitness and sturdy footwear is required. There are some areas of uneven ground as well as walking on sand in Cathedral Gorge.